Last week members of Parliament (MPs) in the United Kingdom (UK) debated on whether to call for a suspension on arms sales to Saudi Arabia, in light of mounting evidence of indiscriminate bombing by the Saudi-led coalition during the 18-month-old Yemen civil war. The debate was an opportunity for the country that is the second largest arms supplier in the world, to make good on its commitment to conduct its arms sales in compliance with International Humanitarian Law (IHL). Since the intervention began in March of 2015, the UK has licensed over £3.3 billion (4.4B USD) worth of arms to Saudi Arabia. This includes over one billion worth in ML4 licenses, which cover equipment such as bombs, missiles and grenades. Like the US, the UK is also providing Saudi Arabia with military advice, personnel to the Ministry of Defense, and private contractors. On 7 September, MPs on the UK’s influential Committee on Arms Export Controls leaked a draft report detailing their concerns over the use of these weapons in the conflict. “The weight of evidence of violations of international humanitarian law by the Saudi-led coalition is now so great that it is very difficult to continue to support Saudi Arabia,” the report states. The report concludes the UK must stop selling arms to Saudi Arabia while the coalition’s actions in Yemen are investigated. 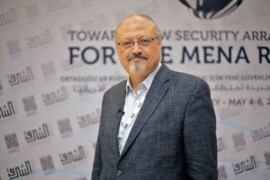 Yet Johnson continued to defend the credibility the Saudi-led inquiry, “They have the best insight into their own procedures…It will also allow the coalition forces to work out what went wrong and apply the lessons learned in the best possible way.” Demonstrating their inability to “apply lessons learned,” less than two weeks after the JIAT report was released Saudi airstrikes hit an MSF hospital for the fourth time, killing 19 and prompting the organization to withdraw from the country. Sadly, Prime Minister Theresa May sided with Johnson, concluding that strengthening the UK-Saudi ties were vital in the fight against terrorism and that it “would be wrong to underestimate” the importance of the relationship. However, indiscriminate bombings and attacks on civilians fuel the grievances on which terrorist groups capitalize. Independent, thorough assessments of military conduct, adherence to IHL, and a responsible arm sale policy, are essential steps in addressing security threats. It is woefully misguided to underestimate their importance.